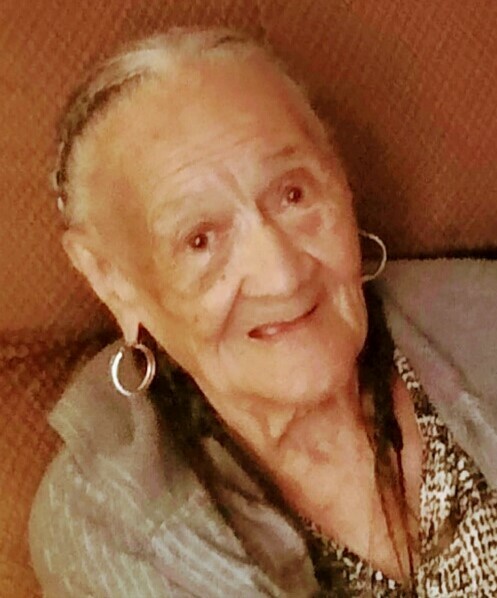 Ruby M. Jackson, 92, of Dayton, OH, formerly of Bridgeport, OH, died March 18, 2019 at her home. She was born June 8, 1926, a daughter of the late Otto and Roxy (Williams) Gregory. In addition to her parents, she was preceded in death by her husband, Charles Jackson; children, Gloria Jackson, Darlene McLester, Martha Brooks, and Mary Gregory. Ruby is survived by her children, Robert Brooks of Mt. Pleasant, Alton (Diane) Jackson of Bridgeport, Judy Foote of Cleveland; brother, Otto Gregory; twenty-seven grandchildren; and several great-grandchildren. Friends will be received Tuesday, March 26, 2019 from 2pm until 6pm at Wilson Funeral Home, 920 National Rd. Bridgeport, OH 43912. Private interment will be held at the convenience of the family. To offer online condolences visit wilsonfuneralhomes.com.